A quick question which i werent able to find much info about on the net.  Will freediving give you a high vO2 max? And how high will a world class freediver be able to score in this? Also im wondering if a high vO2 max will give you a strong benefit as a freediver? This is an interesting topic I think. Here are some vo2 max results from other sports, and in cross country skiing they score the highest, how would freedivers score? Generally freedivers tend to overestimate the importance of VO2 max and/or of fitness for their freediving performance. VO2 max, by definition, is the maximal/peak oxygen consumption the body is capable of, which is the exact opposite of what a freediver needs. Much more important than VO2 max, would be VO2 min. VO2 max is more relevant to aerobic activites, and although it may have influence on freediving too (especially freediving activities with repeated breath-holds, like relays, 16x50, speed apnea, spearfishing), the VO2 max will not tell much about your freediving capacity. There are top freedivers with high values of VO2 max, but there are also others who have VO2 max values far below the average. Thank you for the answer, its what I suspected! However, at school Im now forced to push my vO2 max to a higher level. By doing this, I hope Im not affecting my vO2 min. I think Ivo's info is very good. tip. It's about the bloodflow. Low bloodflow induces early abortion of the aerobic phase. Hi HR, hi bloodflow is late or no lactic acid formation, resulting in high O2 consumption, high CO2, stress and short dives. - These are my latest thoughts following a successful training experiment and talking to my coach. I have a pretty good VO2 max, thanks to a lot of fast bicycling to work. To test, try to lower your HR, and during your dive you mentally try to keep it low, soft and smooth. The swimming is also relaxed and slow to keep the HR slow. Please share your findings here so we can discus and learn. For the rest if you have a good heart control, I think having a high performance able heart needs less energy to accommodate a slow blood flow. While it is certainly possible to be a good freediver with a high VO2 max, we do know that highly specific freedive training certainly reduces your VO2 max and will keep on reducing it. A seal, with virtually no capillaries leading to the swimming muscles, has no ability for high sustained oxygen consumption. This is a big subject to discuss, I did not see significant coleration between diving and VO2 max, but if you want to know numbers, mine VO2 max on last measurement (on treadmill) was 62 ml/kg/min. thats also my opinion about it. maybe the rest days are more shorten when u have a high VO2max than a lower one. by the way mine is 72 ml/kg/min and i have a very big distance to gorans results ! Recently I started to do a bit of Cardio training (soccer and freestyle swimming) to improve my static (I want to do 6-7minutes - and Im at 5-6minutes), but it seems counterproductive to increase my aerobic fitness from what I read above... Eric or Goran can you relate to Matts experiences? I might end up continueing another months with the cardio - and then skip it when the spearfishing season start and I can get my apnea-related workout doing that. Well it's only acutely nonproductive Morten, your apnea will be lower during intense aerobic training, but it should return to normal values (or above them) when you finish your specific training period. And it's never contra productive to have better fitness, it can just be advantage if you have other free diving related abilities at the same level or higher. Well, the best training schedule is the one you follow... and soccer is fun . Thanks for correcting the misunderstanding. I can see this has been debated often here. Pretty much agree with Goran - my apnea takes a dive (heh) whenever I do aerobic or strength work but comes back pretty quickly afterwards.